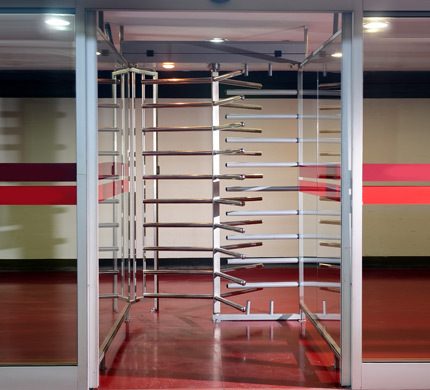 Full Height Turnstiles are recommended for use when absolute entrance or exit security is required, especially in unguarded locations. Tamper-resistant and weatherproof, full height turnstiles offer unrivalled reliability, as well as a more comprehensive visual deterrent compared to that of half height turnstiles. Our access control turnstiles fully integrate with our smart card and biometric access control systems, giving you full jurisdiction over movement and access in and around your site. Available in any RAL colour as a special order at low prices.